Featured in Garden & Gun and Southern Accents magazines, Woodland Cottage was decorated by acclaimed designer Kathleen Rivers of Charleston, South Carolina, and designed by Jack Davis of Atlanta, Georgia. 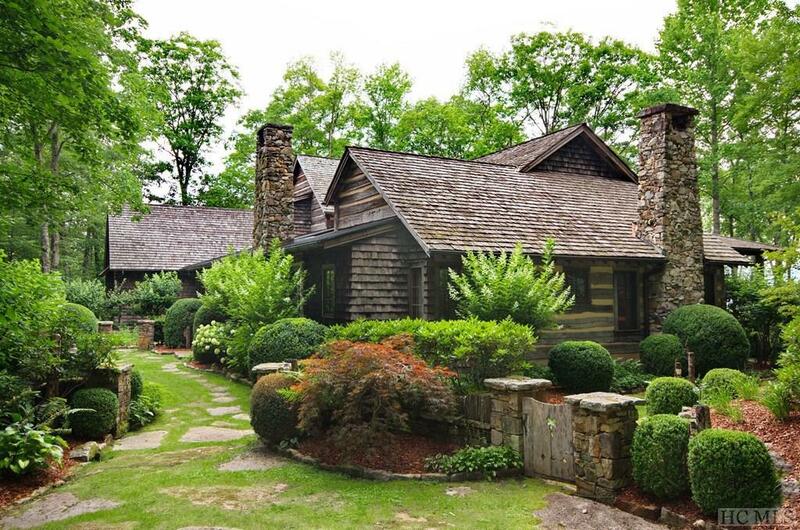 Blending into a forest of old-growth maple, hickory, oak, and evergreen trees, the beautiful property is pure serenity. 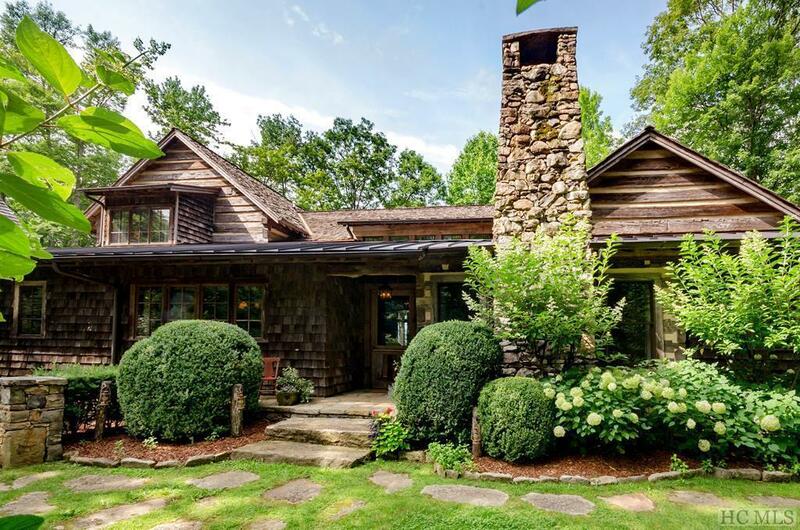 The home was assembled from reclaimed nineteenth-century log buildings from Tennessee and Kentucky and sited on nearly an acre overlooking Chimney Top and Rock mountains. With its patina of over 150 years of weathering, the log home feels as if it was passed down through many generations. With all the sophisticated charm of a British hunting lodge, there are historic details everywhere you look, such as dovetail notches and hash marks created by the broadaxes of Appalachian pioneers. The sumptuous great hall offers 30-foot ceilings and an imposing fireplace crafted by third-generation stonemason Leland Huey. Reclaimed heart-pine floors are throughout the home and custom touches such as lighting fashioned from found objects and custom cast-concrete sinks in the master bath. 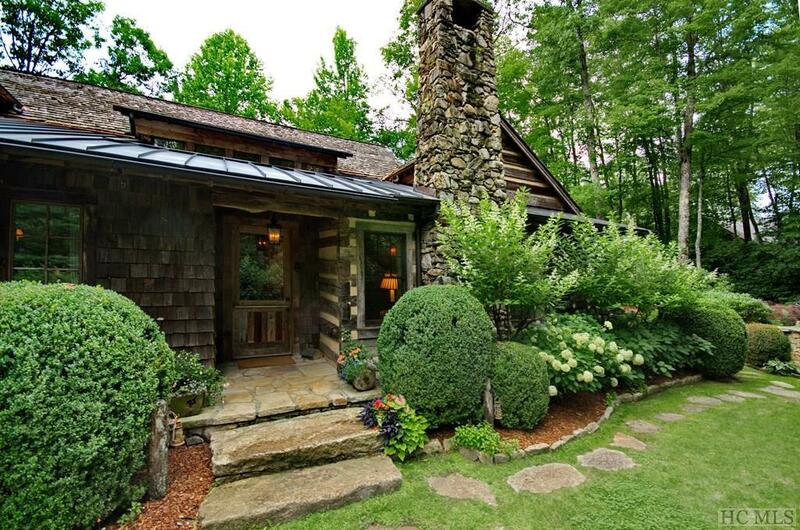 The screened porch is the epitome of southern hospitality with a fieldstone fireplace and a porch swing perfect for reading the Sunday newspaper. Take an after-dinner stroll through the garden paths after an evening of entertaining and relaxation. 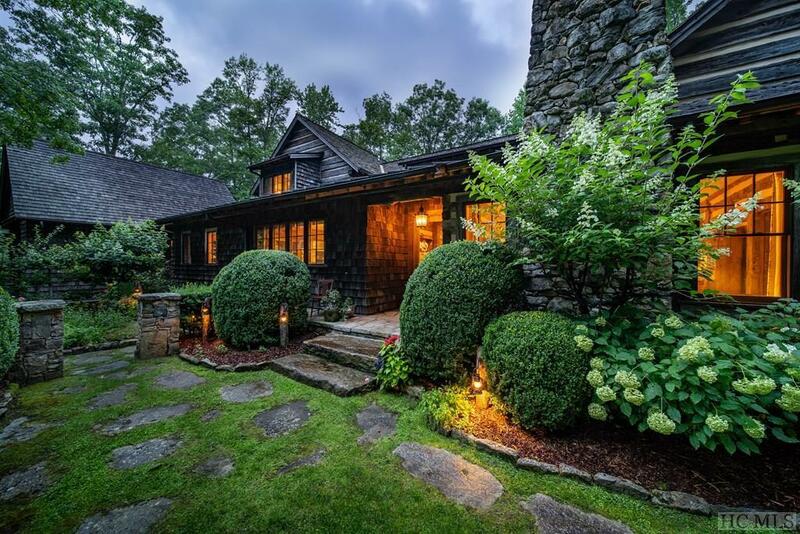 Rarely does a property with such unique architecture and welcoming Appalachian aesthetic as this come on the market. Listing provided courtesy of Linda Pridgen of Silver Creek Real Estate Group, Inc..